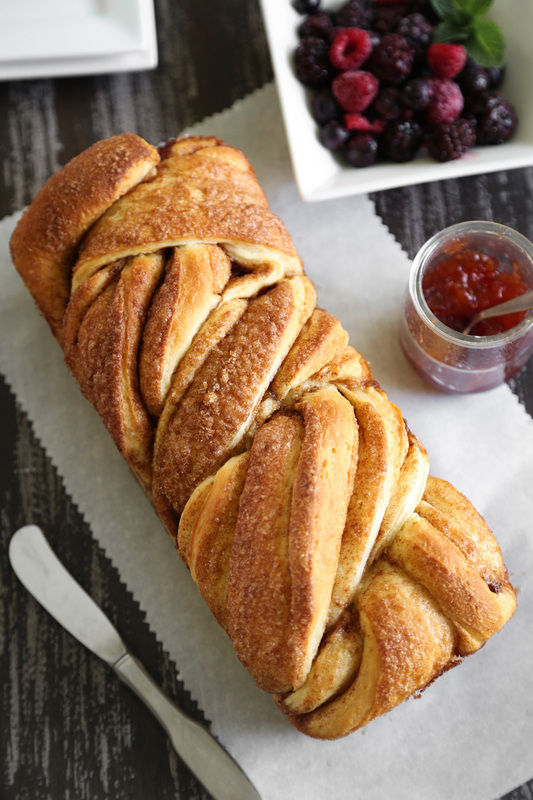 My first offering is this swoon-worthy braided cinnamon loaf. It looks so fancy when it's all braided up, but the technique is so easy! 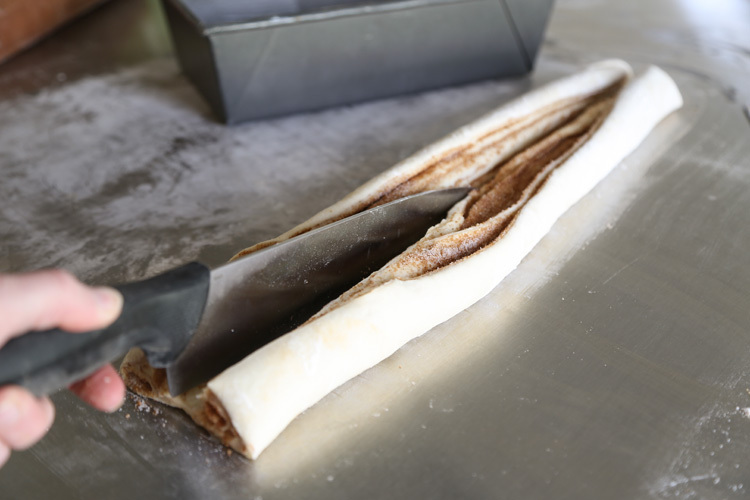 Just roll the bread as you would cinnamon rolls, and cut it down the center lengthwise. Then you just cross the two pieces over one another until they are all twisted together. Transfer to a pan and bake! It's easier than it looks, and I think you'll love getting this beautiful end result in your own kitchen. The baked loaf looks like it comes from a fancy bakery! I love to eat this bread as-is, but it can also be sweetened with a simple milk glaze (confectioners' sugar and milk). Get the full recipe and instructions HERE! 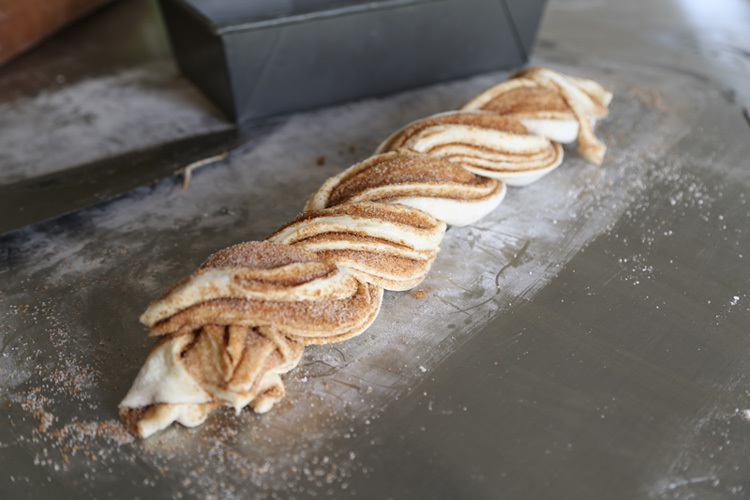 Braided Cinnamon Loaf Recipe on Go Bold with Butter! I love that you are a butter ambassador. Butter will get the credit it deserves with you shining a glossy light on its golden goodness. Hi Tabby! The recipe yields 2 loaves. The pictures in this blog post are just examples of how to braid both loaves. OOPs got the name of the site wrong, it go bold with butter. Girl!! Do you ever make anything that isn't the most gorgeous thing ever?! I love this!! Pinning to try. That's awesome! I don't blame you. I would be a butter ambassador if someone asked me too. ;-D THIS bread. Looks so sinfully delicious! I would love to try this today but all I have are round cake tins and glass dishes. which one do you suggest I use? A round cake tin will work well if you position the braid into a wreath (circle) shape instead of a loaf.